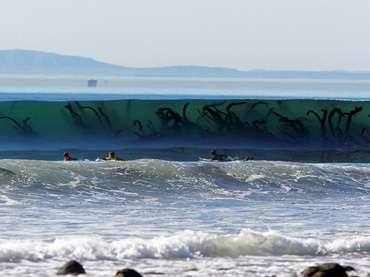 With Photoshop, folks can edit photos, creating false scenarios that often seems believable. The more unbelievable a story or a photo is, the more it goes viral. 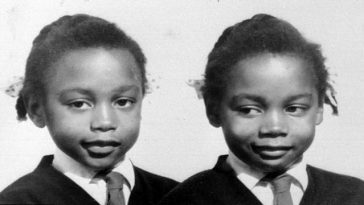 But people have grown wary, that is why for every strange photo they see, the first act is to authenticate it. But even with vigilance, there are a lot of images that capture incidents that are too beautiful or too rare to be true, photos that may seem unreal but are true. So use your wary eye on these shots. Thing is, they are not photoshopped. Aren’t you all about the base? The rest of the post is still up after being burned off. 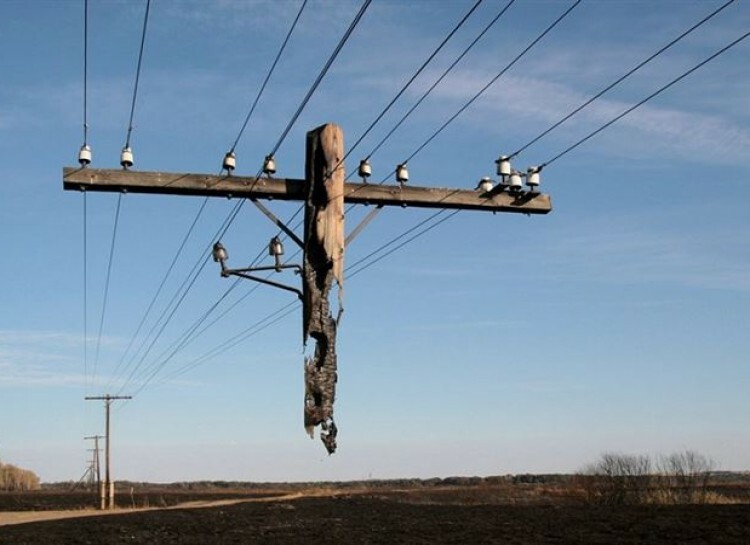 Though the base is not present anymore, the wires have been giving support to the remaining part of the post all these years since the event happened. 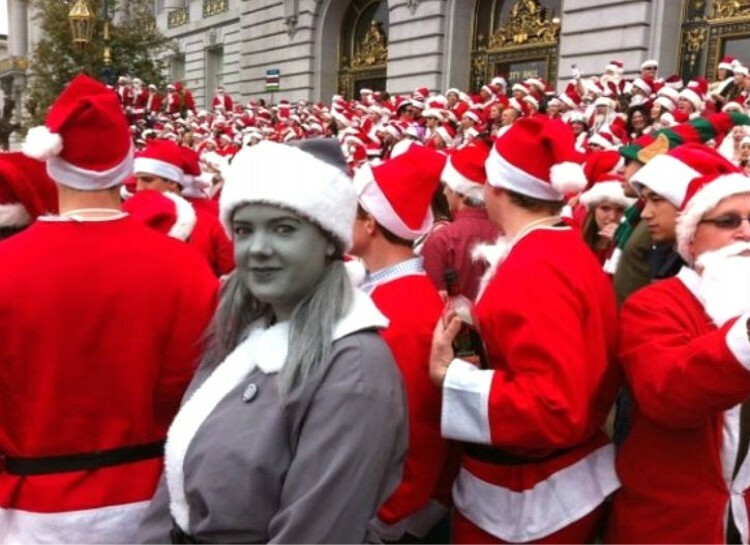 This might look like somebody manually adjusted the color saturation to make the girl appear in grayscale, but the truth is, it’s real. She just had a strange taste in clothing, hair dye, and unique makeup that made her look surprisingly unusual. This is great for Halloween! The man in the picture was actually a sinus cancer survivor, a disease that left his right eye devastated. 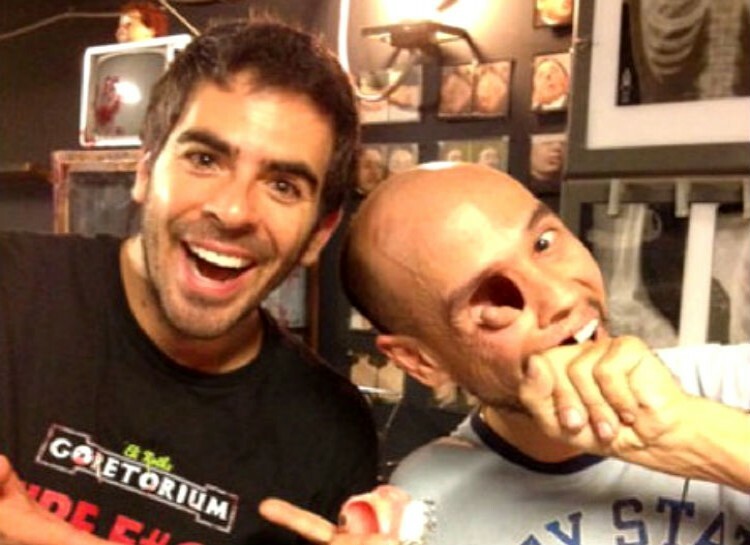 The hole in his face often leave people freaking out in places like Eli Roth’s Goretorium. Many might think that the bear was just added to the picture. 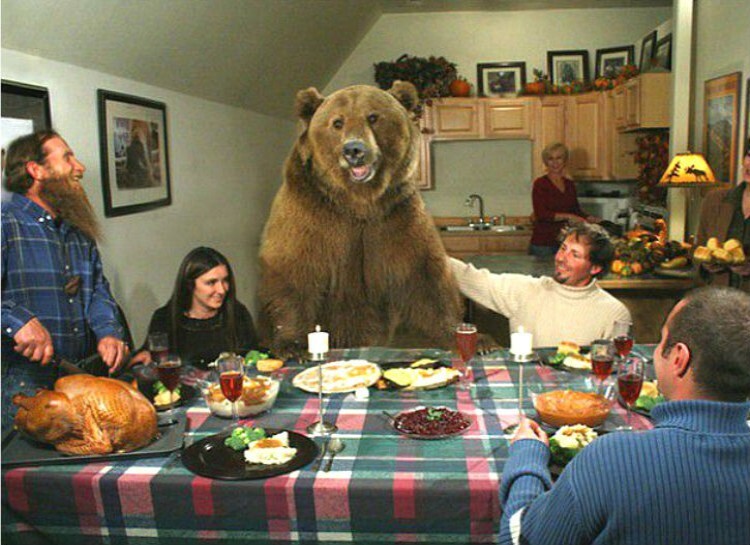 But no, Brutus the bear is actually a part of the family. He was adopted as a newborn cub by naturalist Casey Anderson. They even had Brutus as the best man at his wedding with actress Missi Pyle. 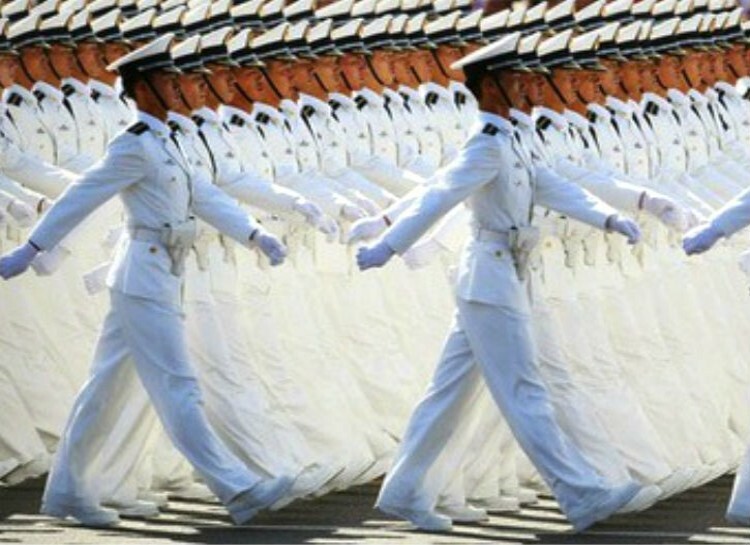 It appears like a photo of only one soldier, just replicated through a mirror effect, but this is an actual snapshot of hundreds of soldiers marching in a synchronized manner. This image proves that soldiers always observe utmost discipline and coordination. Not just another gimmick, eh? 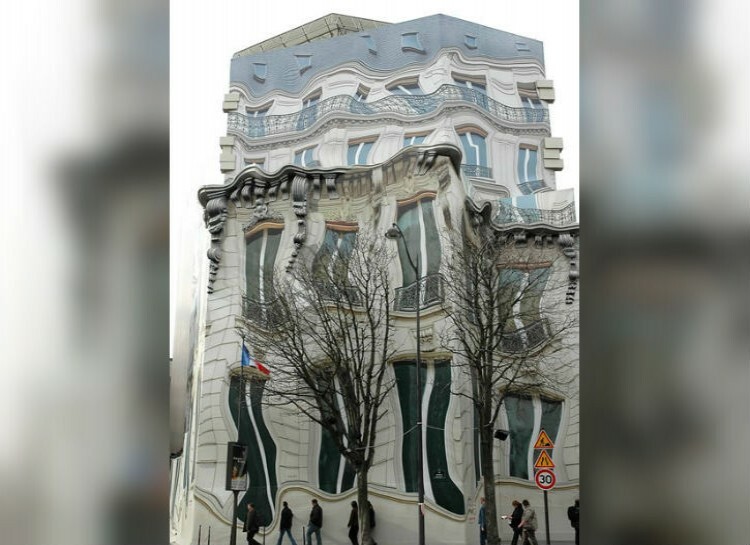 A real ripply building can’t exist, can it? 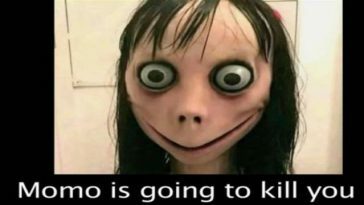 Maybe, but not this one. This is actually a building with a drape set up in front to block an ongoing work in a construction site. You can even see an untouched part of the site behind the covering at the very top of the image. 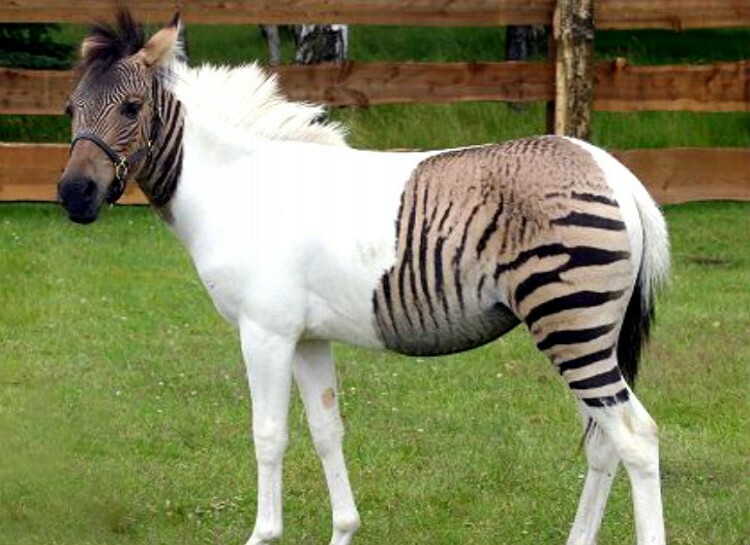 This is a zony, a hybrid of zebra and pony. The strange patches on his body are real. 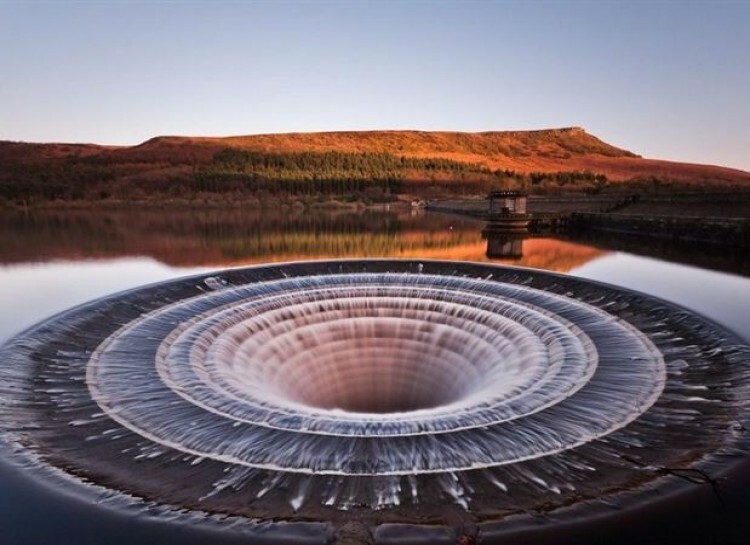 This scary-looking site is an image of a man-made funnel, which was designed in a way that it can draw off excess water caused by floods. 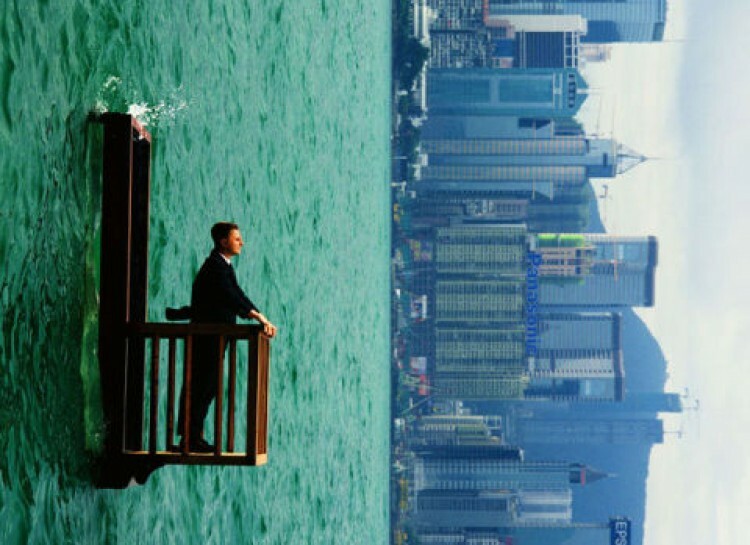 This unbelievable scene was never photoshopped by Philippe Ramette, just like his other works. The artist is strong in his belief that art should never be faked. The trick was made with the use of a barge that resembles a balcony placed sideways. He attached his feet to the wall, and his hands held onto the wooden rail. He looked like he was struggling with his weight during the photo shoot, though. 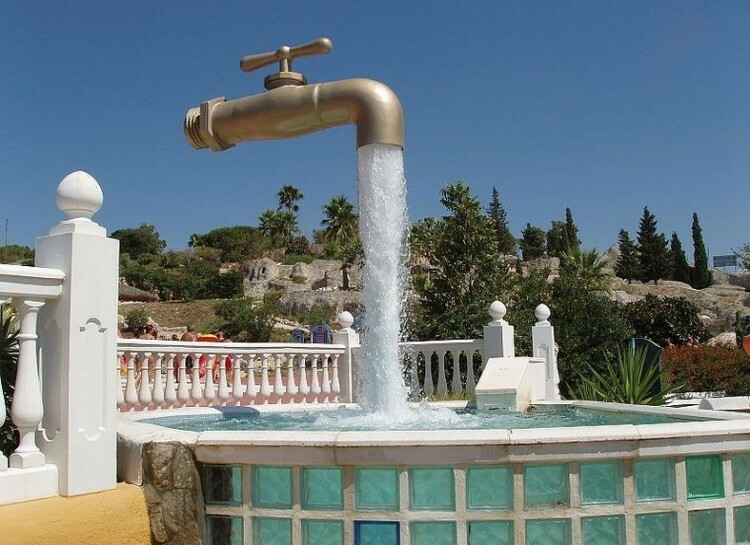 The peculiar fountain, also known as the Magic Tap, has confused many visitors in Aqualand, Spain, for quite some time. 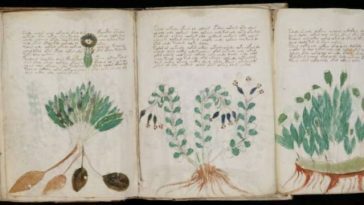 Folks often wonder where the water comes from or how it is held up, but quandaries were explained by the hidden tube in the deluge. 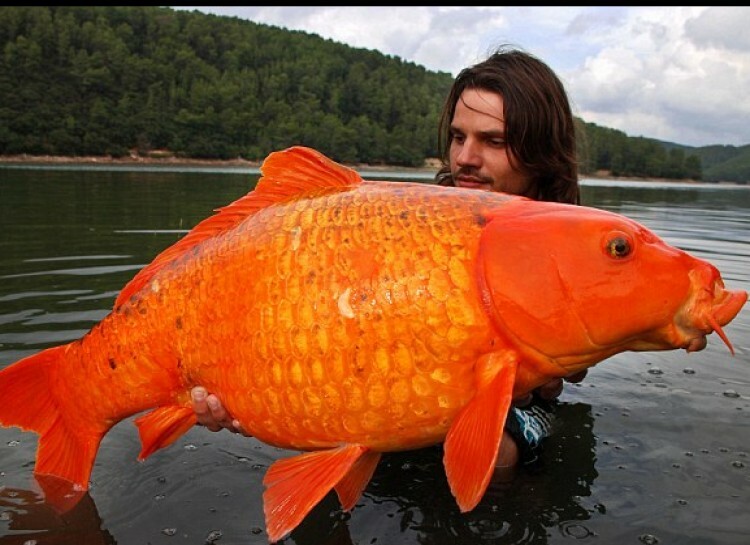 This man-sized goldfish is definitely out of the ordinary, considering that an average goldfish can grow only about 10 inches. The man in this picture, named Raphael Biagini, spent 6 years hunting this beast before he finally caught it in a sea in southern France. This might freak you out when you see this in the sky. But no, this isn’t a horizontal tornado. 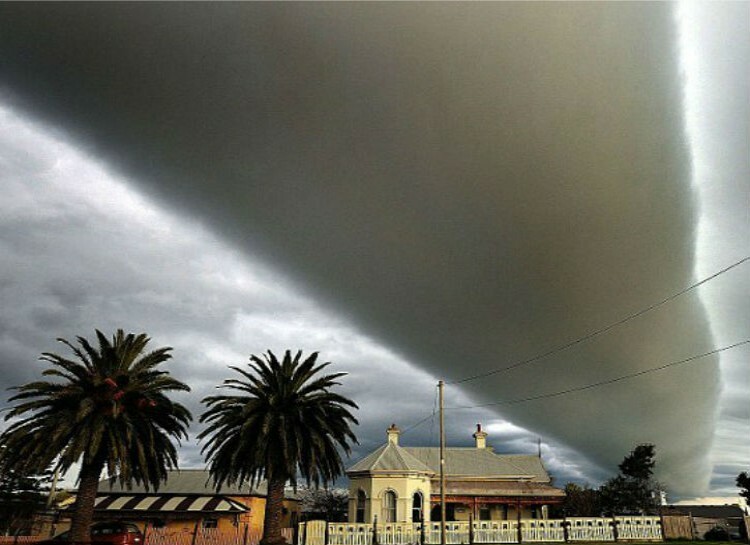 Though it looked like one, it’s just an intimidating cloud formation. 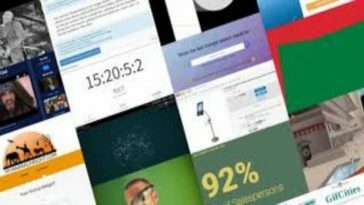 Are you sure you’re on the right track? 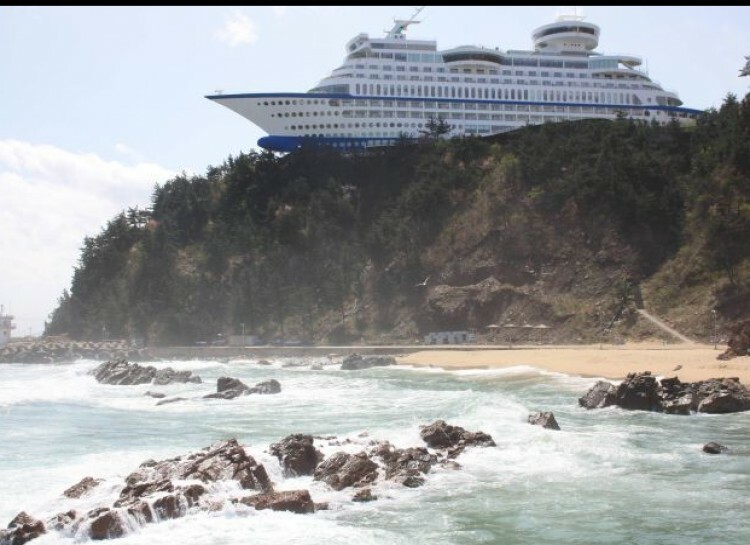 You might wonder if this yacht was blown away by a huge wave and suddenly made its way on that cliff, but this is actually the Sun Cruise Resort, which can be found in South Korea. It resembles a yacht . . . on the cliff. We are all aware hockey battles can be brutal—but perhaps, not to the point of losing their heads, right? Good thing for the worriers, this player’s head was not really cut off. The camera just snapped the shot while his helmet was mid-air, so it looked like it. 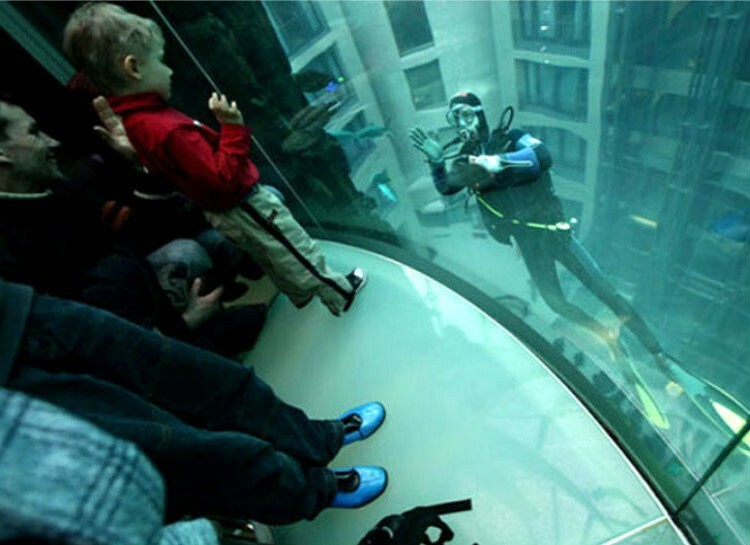 The Berlin franchise of the Radisson Blu Hotel, which owns the largest cylindrical aquarium in the world, is the one responsible for the mystery in this picture. The 82-foot-high AquaDom holds a collection of tropical fish swimming along the million liters of saltwater. It allows certified divers to enjoy its lovely contents. You might immediately google it to know if it’s possible that a civilized city will appear in the clouds. But no, this is just a magnificent aerial view of the city of Dubai. 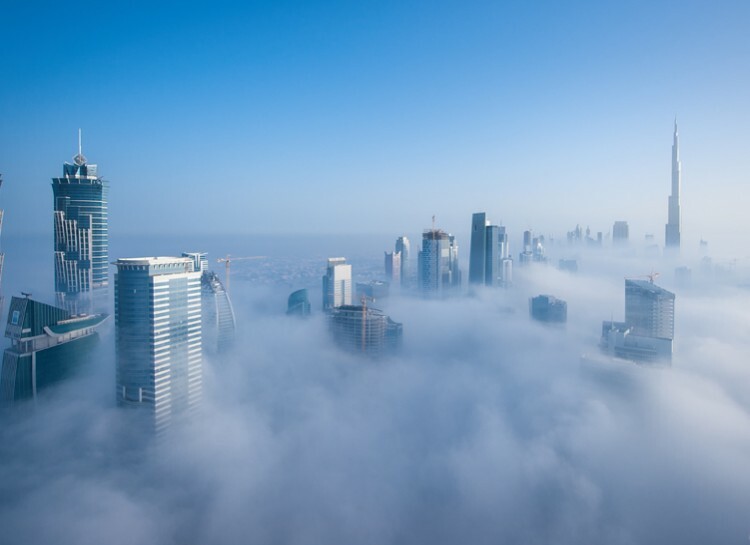 The highest skyscrapers in the world erected in the Arab city often have a chance to get that cloudy effect when a heavy fog descends twice every year. These swirling railroad tracks were apparently unintentional although they seem paralleled perfectly. 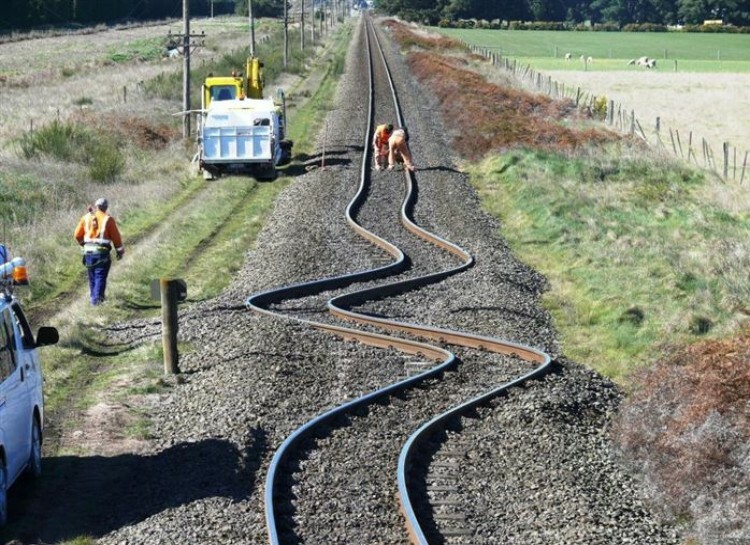 It was the earthquake that left the tracks like this. You must be the next Dynamo. Although he faked it, Dynamo was the first of the few who have tried to walk on water. You might think this guy is the second to give another staged attempt, but believe it or not, this young lad did “walk” on the water—without faking it. Thing is, it was just a perfectly timed photo of a boy jumping into a pool. The trophy goes to the photographer. Too vivid not to believe. 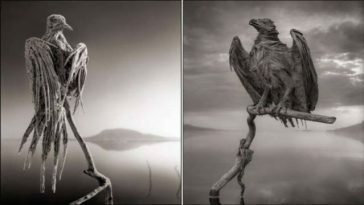 This unedited photo is another perfect example of a grayscale look. Detux Icunt, a recording artist and a drag performer, posed alongside actress Candis Cayne and nailed another amazing creation of makeup. The face of nature finally appeared. 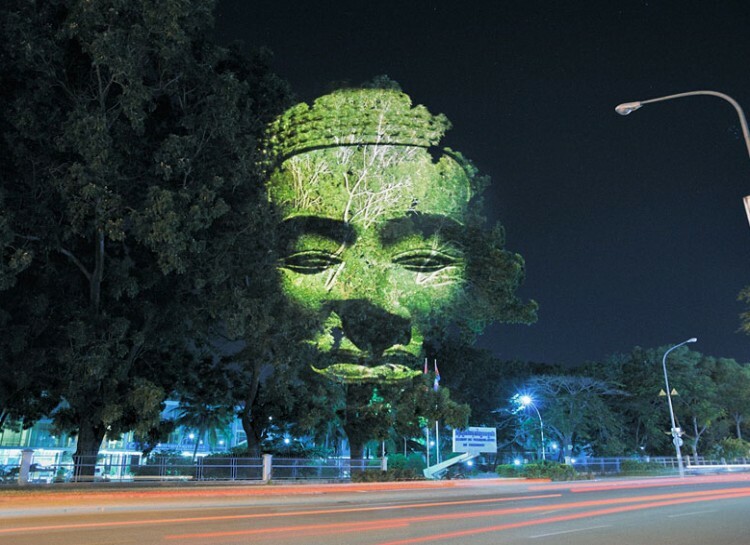 Clement Briend, a French Artist, illuminated 3-D faces onto trees using projectors in multiple large formats to create this seemingly big face of Mother Nature in a tree. 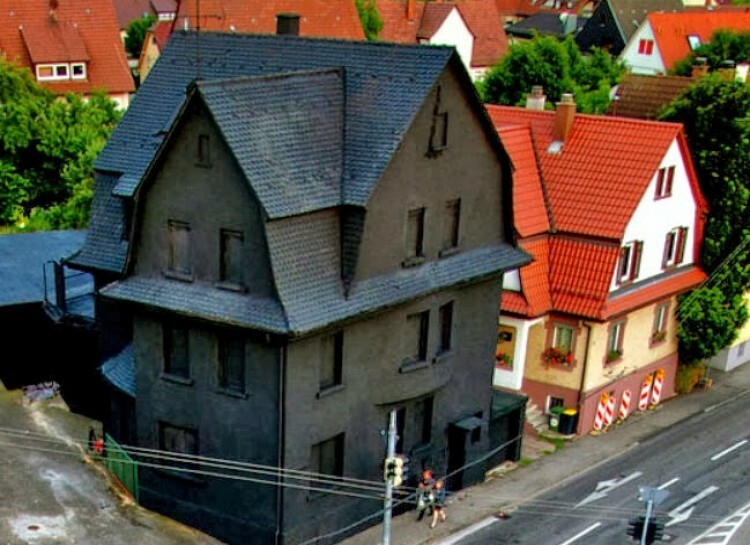 This black house has always caught the attention of passers-by because of its color. This building in Germany was scheduled for demolition in 2008, but it was stopped. Artists Simon Jung and Erik Sturm were then given the opportunity to give it a sophisticated Gothic makeover.